Bavarian Bierhaus. Photo courtesy of Bob Monnat. 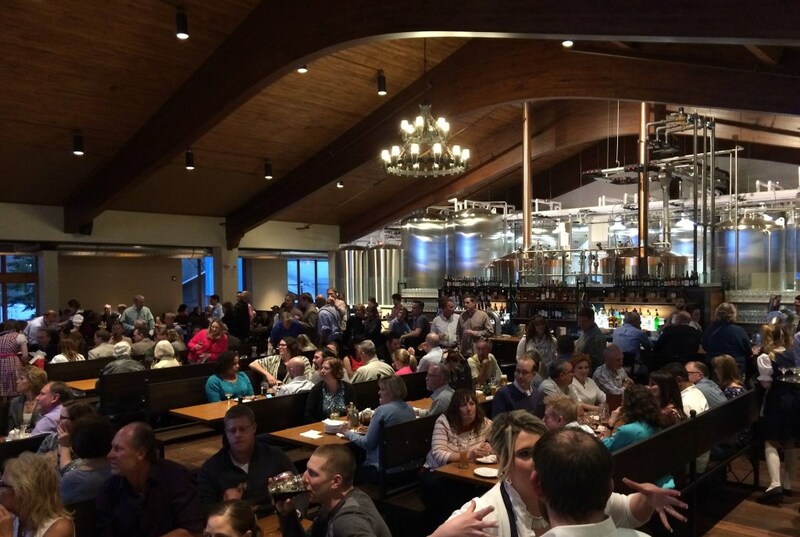 “The restaurant will… serve authentic German food and some American favorites. A house band will entertain crowds every night, and special acts will be brought in on Friday and Saturday nights. “Aside from its gyros and chicken, the Halal Guys is known for its mayonnaise-like white sauce and spicy red sauce for the halal meats and falafel. It also serves fries, hummus and baklava for dessert. “Greene and Arroyo hope to open the restaurant in late summer; construction is to begin in May. Does anyone know whats happening in the old gas station/acupuncture/vape store building on the corner of KK and Ellen in Bay View? The building is being worked on and It looks like something will be moving in soon. Isn’t the Bierhouse in Glendale, not Whitefish Bay? Yes it is in Glendale, just west of I-43 off of Port Washington Road. Can’t wait to check it out. Sounds like good family fun. N. Edgewater Lane on the east side of the Milwaukee River abuts the Oak Leaf Trail. Walk your bike down the embankment or use the cattle path as it is not very steep. It is a short 2 block ride to the site.